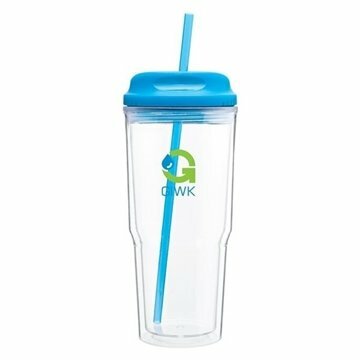 24 oz double wall acrylic tumbler with threaded H/C snap-fit lid and matching soft straw - patent #D713,636. Everything - it is pretty cool! Good quality- they're quite sturdy and appear great! Good brand in a competitive cost! Nice size for staff meals or personal items. Exactly what I expected! This product was a hit with our staff and clients! I will definitly order fromd AnyPromo again.